We go through a lot of backpacks riding bikes. They always get destroyed from the mud, bushes or crashes or just get kind of gross after a while with all of the use, especially during winter time when they are subject to a lot of wet conditions. 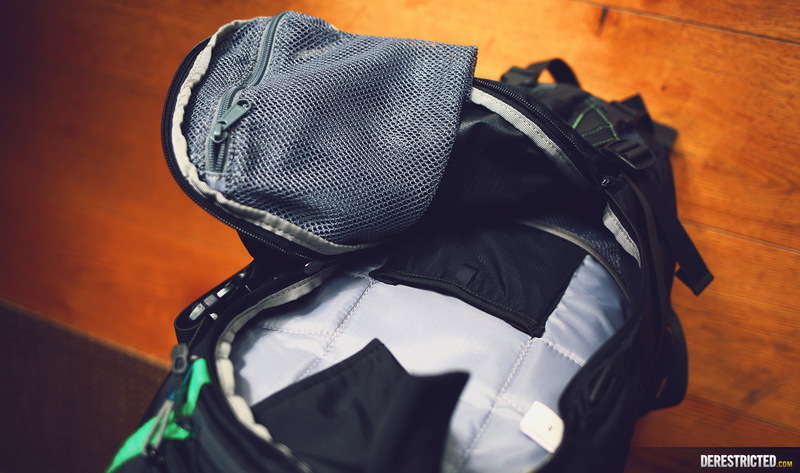 The KTM powerwear Ogio pack is great and has been our go-to pack for a few years now. I think we are on our third version of it already. 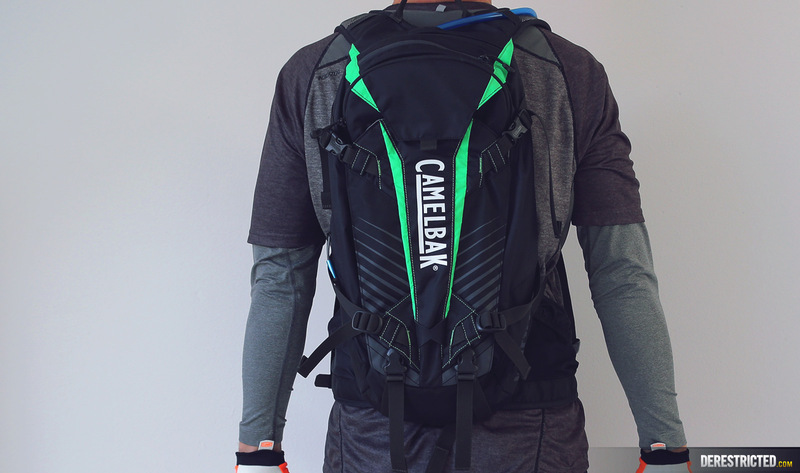 Anyway, we were asked if we would like to try the new camelback K.U.D.U.™ 12 enduro pack and since it comes with an integrated back protector we were happy to give it a try. 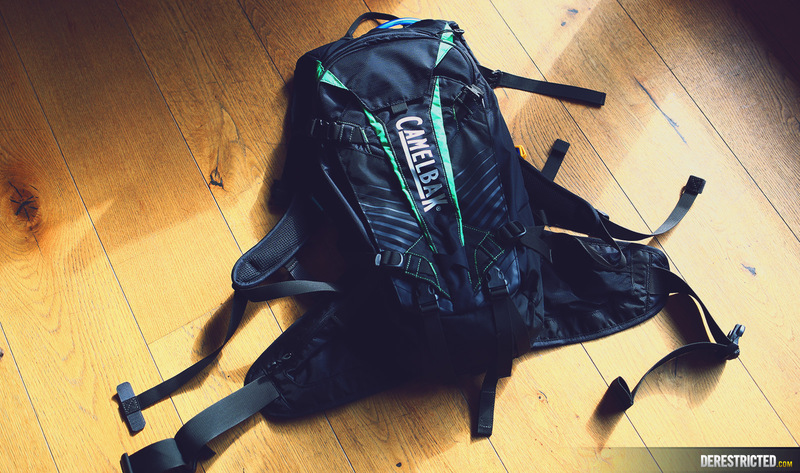 Overall, if you are after a backpack/hydration pack, with an integrated back protector, this one does the trick! It fits well and you don’t notice there is an impact protector integrated. On our enduro bikes we usually wear a back protector when riding anyway, but a little extra protection can’t hurt, and when riding the bicycle we don’t wear any protection unless we hit the bike park, so it’s welcome for sure. Size is big enough to fit some knee pads, snacks, wallet, extra clothing layers and other stuff you may or may not need and of course it has a water bladder for long rides. 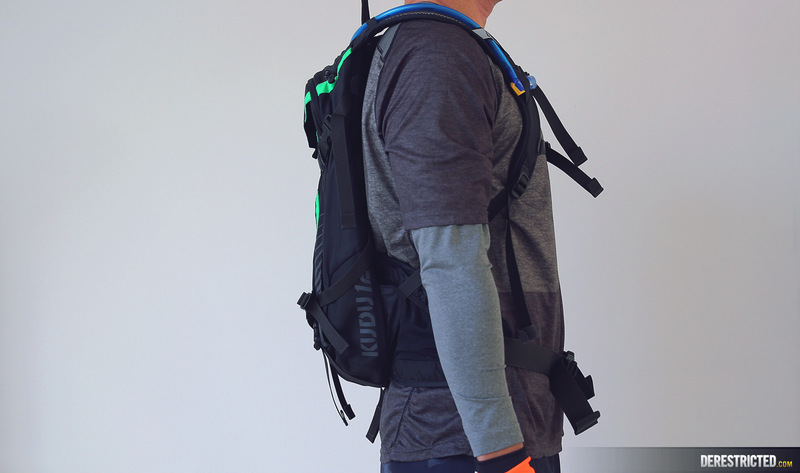 Overall, if you are after a backpack/hydration pack, with an integrated back protector, this one does the trick! We are certain it won’t be our last backpack, but we have no complaints about it at all and hope it lasts us a while.